News broke about the next big DC event, Heroes in Crisis by Tom King, dealing with heroes in “a sort of trauma center where [they] can go when things get overwhelming” called Sanctuary. 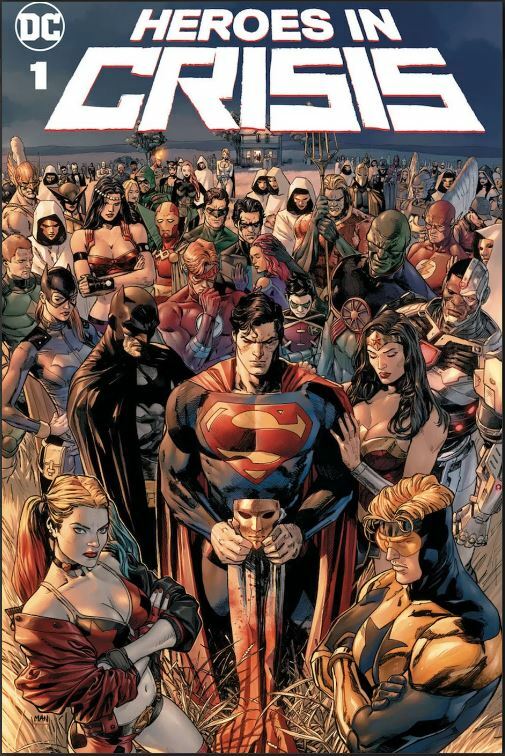 The cover doesn’t give much away, although that might be the Medusa Mask of the Psycho-Pirate that Superman’s holding, along with the figures in white who also appear to be wearing the same style mask, but among the many characters in the crowd, I noticed Power Girl, just behind Hal Jordan’s head. That’s more evidence that that the original PG’s coming back. 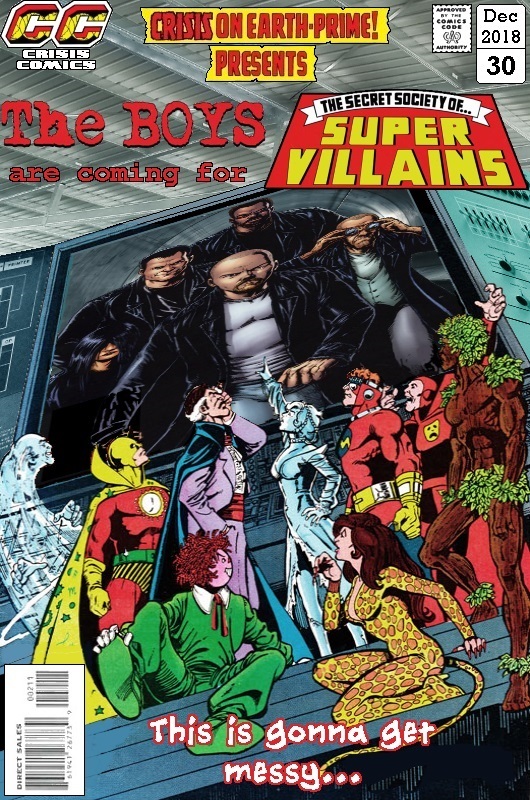 I’ll be picking this up, though it sounds more akin to Identity Crisis than any of the other Crisis events, and we all know what a bundle of laughs that turned out to be. My only real knowledge of Tom King is the much acclaimed Omega Men miniseries from a few years ago; while it was good, I disliked the abrupt change in Kyle Rayner as King suddenly made him a devout Catholic, something that was never mentioned before and hasn’t appeared since. Still, I guess we wait and see.